Almost a month after announcing its first foray into advertising, Pinterest is now making Promoted Pins visible to its user base. 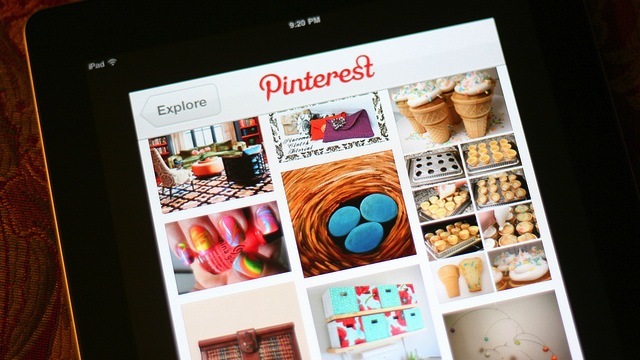 In its initial test, these pins will appear on both the website and within Pinterest’s mobile apps. Promoted Pins, much like Twitter’s Promoted Tweets and Facebook’s Promoted Posts, enable businesses to pay to show certain pins at the top of search results and category feeds. As promised, there aren’t any flashy banners or pop-up ads; instead, the new pins are fairly subtle. The screenshot below shows that Promoted Pins blend in rather seamlessly with organic content. The only distinguishing feature is the “Promoted Pin” label found below the description and pinner’s information. Consumers can click the small grey icon next to the label to learn more about the pin and why it’s appearing. 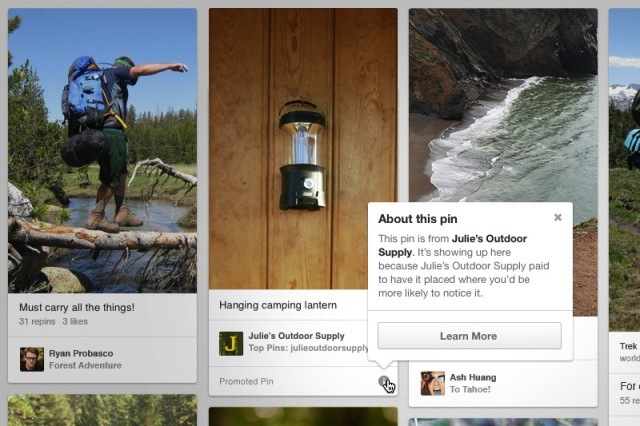 Pinterest’s minimalistic approach to integrating advertising could result in an unobtrusive experience for consumers. However, some advertiser’s might prefer a more prominent “sponsored” tag. Although advertisers aren’t currently paying for these placements, the Promoted Pins we see today will look and act like they would if they had been paid ads. This allows Pinterest time to refine the integration as it extends the test to a broader audience in the future. The company still hasn’t released information on how advertisers can get involved — in fact, Pinterest isn’t saying which brands are the first to test Promoted Pins — but we imagine more details will be released as the testing continues.